EPSILONT SELF-CONTAINED DUAL TONE ALARM SIREN. 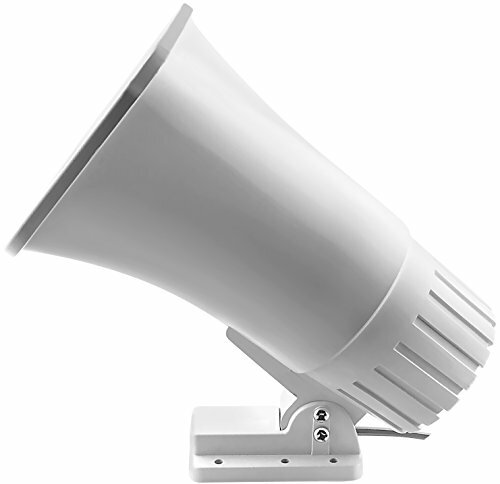 Epsilont Siren is the loudest self-contained dual tone alarm siren you can buy today. 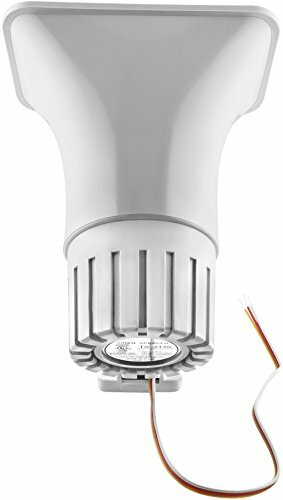 It can be installed indoors or outdoors. Our Alarm siren is a great addition to any compatible security alarm system. 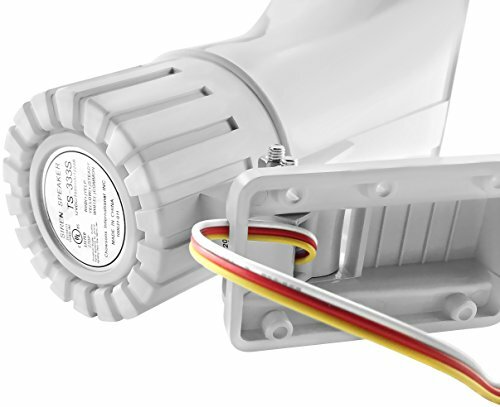 The alarm siren is a 6-12 V DC combination speaker and siren driver. 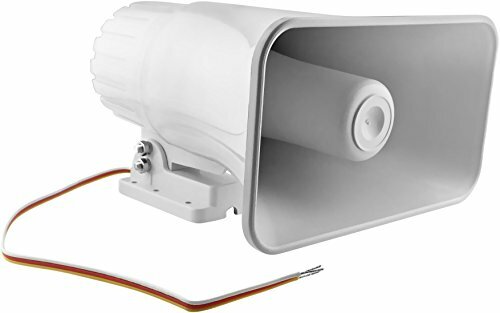 Espsilont alarm siren is dual tone - warble or steady. Additionally, our alarm siren is EXTREMELY loud as it has a 30 Watt power rating. Add one to cart today! If you don't absolutely love Epsilont Alarm Siren, return it for a full refund within 30 days. No questions asked. 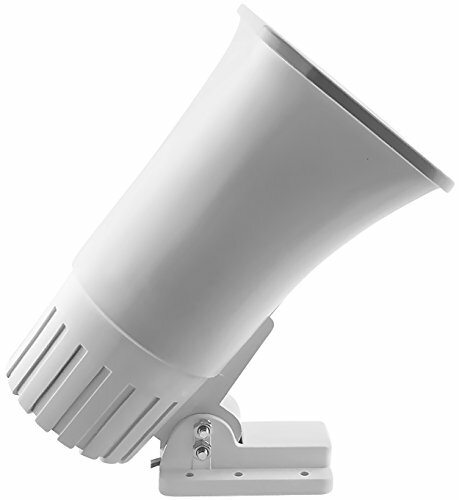 PREMIUM QUALITY - Premium Quality Siren without the Premium Price EASY TO INSTALL - Compact Design. Bracket pivots to 90 degrees. EXTRA LOUD - 30W, 120dB, Will wake up the dead! DURABLE DESIGN - Weatherproof ABS plastic will last you for years and years. 30 DAY MONEYBACK & SATISFACTION GUARANTEE - If you don't absolutely love our product, return it no questions asked.